After very long duration finally I found something great related to DBZ.Most of the peoples are wating and asking to upload something related to DBZ.In this article I am giving you DBZ Shin Budokai Battleground psp mod with awesome graphics.This game is highly compressed, the size of this game file is 270 MB.This is totally stable and lag free mod and it will definitely run on every device with any frame drops. DBZ Shin Budokai Battleground psp mod contains plenty of new characters from DB Heroes.The graphics quality of this game is excellent.The details of every character are very sharp.Inside you will get SSJ4 of Goku, Vegeta, Gohan, Gogeta and Vegetto.It also has SSJ5 of Goku, Vegeta, Gogeta and Vegetto.You will find new look of teen gohan and majin buu.The graphics of this game is best if I compare it with other DBZ Shin Budokai mods. DBZ Shin Budokai Battleground has very different setting from other DBZ SB mods.Approximately, I have spend 5 houns on setting and savedata of this game.The creator of this mod has given its savedata but it won’t work.The game is crashing everytime I skip its casting.I can’t find and accurate video that will show me its proper setting.Just because of all these issue, it takes me 5 hours to get its best setting and savedata.So you must watch its setting video to avoid crashing. 1.Download ppsspp emulator and extracting app.Also download DBZ Shin Budokai Battleground game file from the link below. 2.Now watch this video till end because it contains password which you have to use to begin your extracting. 3.Now you have the password, extract DBZ Shin Budokai Battleground game file using password.After extracting you will get DBZ Shin Budokai Battleground iso file and savedata folder. 4.Copy savedata folder into your psp folder and watch this video, it contain best setting of DBZ Shin Budokai Battleground psp mod. 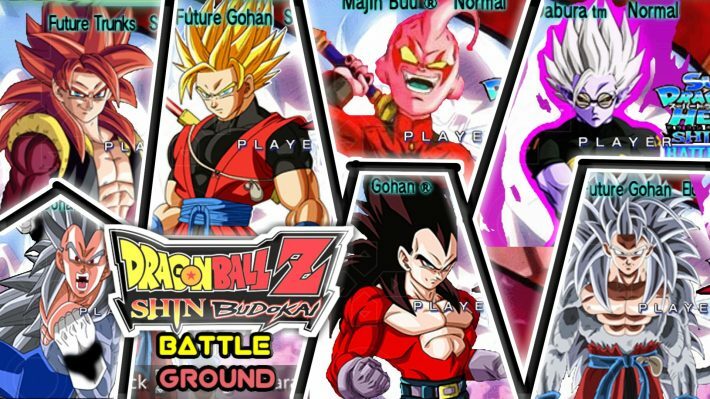 What are you thought and experience about DBZ Shin Budokai Battleground.Share you opinions on the comment section and you can aslo ask your queries in the comment section.For more stuff like that visit our youtube channel,don’t forget to subscribe and follow us on Facebook and Instagram.